Kema Stone advocates to make the best of the existing resources and develop “Secondary Resources” on basis of limited ecological resources. 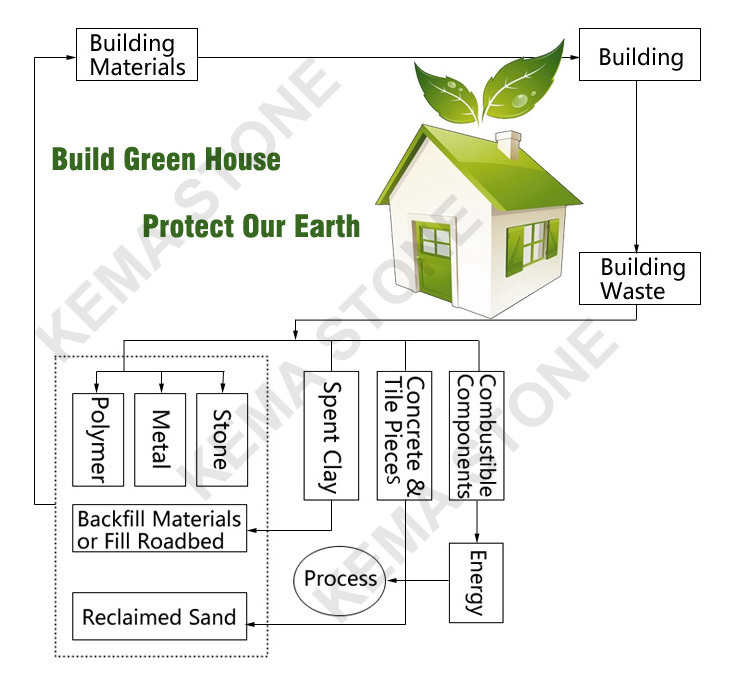 To reduce the impact on the environment, Now Kema Stone is being involved in the cyclic economy that recycles and reuses the waste materials. Stone leftover and ballast will be sent for making mosaics, artificial stone, aerated concrete brick, etc. The defective aluminum honeycomb and its leftover will be 100% recycled for producing other aluminum products. Ceramic waste can be recycled for making reclaimed sand, water permeable brick, etc. Glass waste can be recycled for making fiberglass, glass asphalt and other products. The water for cutting stone will be recycled for reusing.